Heroes once united now find themselves divided! This DLC pack features 9 playable characters starring in the action-packed theatrical blockbuster! 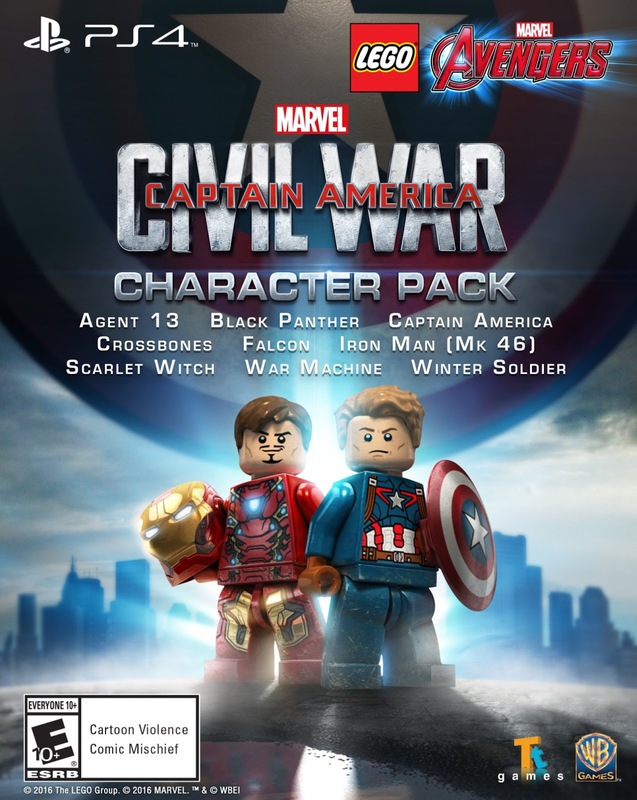 With the internet still buzzing after the latest trailer of 'Captain America: Civil War' showed Spider-Man (Tom Holland) for the first time and more footage of Black Panther (Chadwick Boseman), WB Games thought the timing was perfect to drop a trailer for 'LEGO Marvel's Avengers' new character pack. The "Captain America: Civil War" free character pack exclusively available on PlayStation, features nine new "Civil War"-specific playable characters: Agent 13, Black Panther, Captain America, Crossbones, Falcon, Iron Man (Mark 46), Scarlet Witch, War Machine and Winter Soldier. The character pack is a free download, only for the PlayStation 3 and 4 through April 26. "Captain America: Civil War" the movie hits theaters on May 6. “Marvel’s “Captain America: Civil War” finds Steve Rogers leading the newly formed team of Avengers in their continued efforts to safeguard humanity. But after another incident involving the Avengers results in collateral damage, political pressure mounts to install a system of accountability, headed by a governing body to oversee and direct the team.